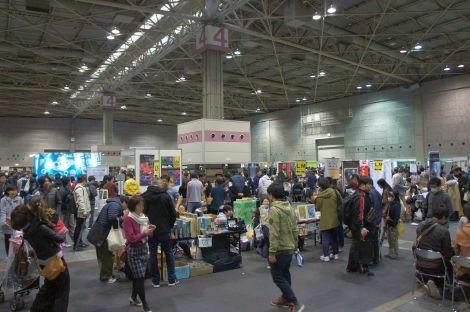 On March 10 (Sun), Osaka Game Market 2019 was held at Intex Osaka in cold rainy weather. 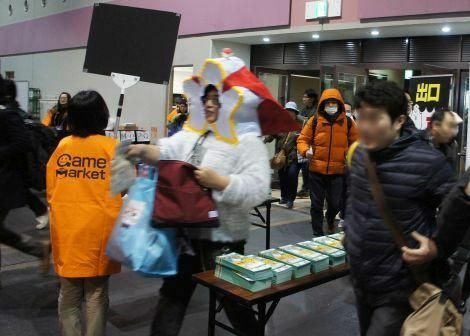 It was the eighth Game Market in the Kansai region since it started taking place there in 2012. With steady growth of the show, 395 booths exhibited in the hall covering an area of 6729 m², and the attendance was 6,900 according to the official announcement by the Game Market Management Office. While the venue has become larger by 30%, long queues and congestion were still witnessed in front of popular booths. Osaka's daytime temperature was approximately 14° C on this day. At Intex Osaka, the facilities other than the halls are located outside, so the outside air kept flowing in and brought chilliness into the hall. This chilliness must have been felt quite severely especially by the people who began queuing two hours before the opening to buy the limited copies of some board games. 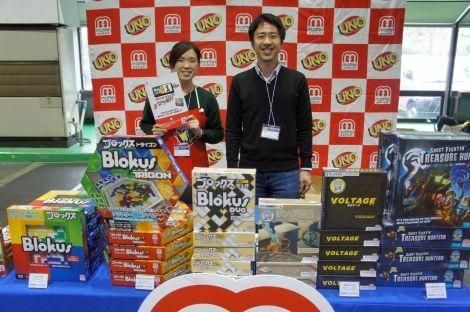 Nonetheless, as the crowd of people queuing surged in at the opening, I felt as if the temperature in the venue rose by 1-2° C.
Mattel, a company that sells games such as Blokus and UNO throughout Japan, had their booth. 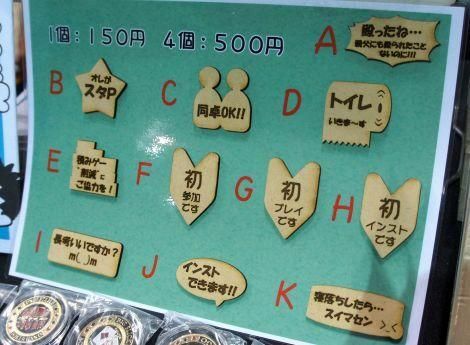 It was their first time participating as an exhibitor in a Game Market, including both Tokyo and Osaka. Their main target is the mass market. A move by such a company to participate in Game Market suggests the growth of this event. Mattel says that their person in charge decided to participate after seeing a Tokyo Game Market in 2018. Many people stopped by their booth, and their games sold well. 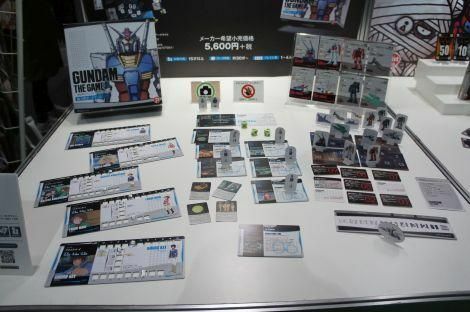 A sample of the Mobile Suit Gundam co-operative game, which has gathered many fans' attention, was on display prior to its release at the end of March 2019. The growth of the market opens the way to the release of licensed board games, which used to be quite difficult in the past. 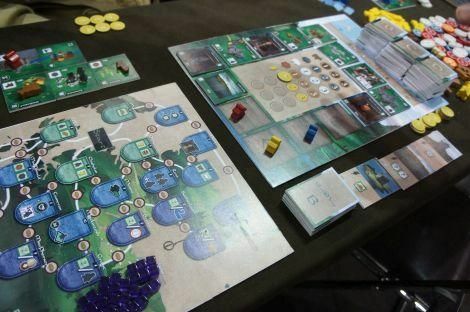 I would never have thought I could play a prototype of a game from overseas at Game Market, but even before the launching of the Kickstarter project to release Glen More II: Chronicles, its prototype was being displayed and demoed by Engames. Visitors could play the prototype with how-to-play instructions. Engames plans to release its Japanese edition jointly with the original publisher near the end of 2019. 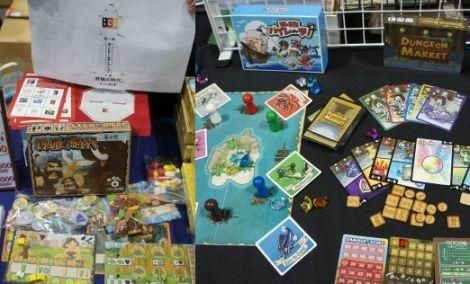 The number of newly-released board games from Japan at this year's Osaka Game Market was approximately 164 titles. If you add to this the number of board games from overseas, TRPG, TCG, escape game books, traditional games, and puzzle games, the number would easily exceed 200 titles. 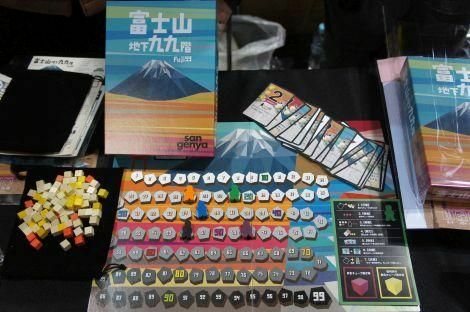 Pentaland is a medium-weight board game produced by Neugier, a student group from Kyoto University. Select a cell from the pentagonal action space and perform the action using the workers indicated there. While you are required to collect resources and construct buildings, the limited workers and spaces to place the resources call for management skills. The effects of some buildings may help your management, while some may impose restrictions in exchange for high scoring points. KOBE (from luck movies) is a game about making profits by loading various trading items onto your ships. You can make higher profits by collecting fewer types of items, so try to minimize the types of items you have through means such as adjusting your hand and buying items from other players. The rule that allows you to buy items from other players facilitates a tactical gameplay. Fuji 99 (from sangenya) is a race game to descend to the 99th basement floor of Mt. Fuji by drawing cubes from your bag and advancing your player pieces. Depending on the color of the cubes you have drawn, you may use some cards' special abilities or you may end up overdrawing. The game comes with story books (with multiple endings), and only the winner can read a backstory explaining why they were heading to the basement floor of Mt. Fuji. 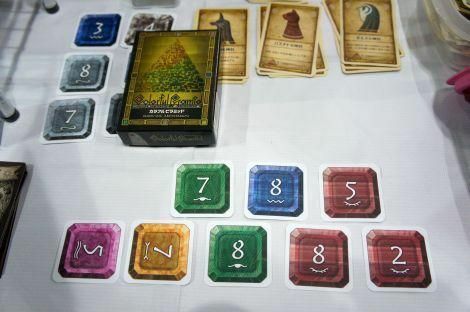 Colorful Pyramid (from Kocchiya) is a card placement game to tap the stones forming your pyramid in order to acquire more stones and stack them by placing those with matching colors and values on top of each other. You may also use divine special abilities to handle trouble. 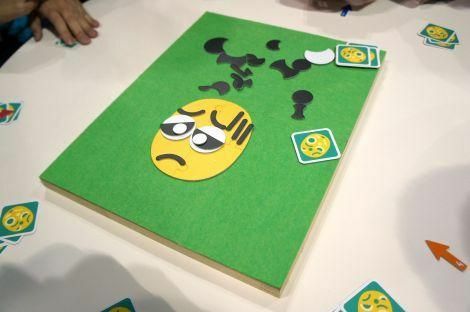 Mr. Face is a new game from Oink Games, which has regularly participated in Game Market with a block booth. 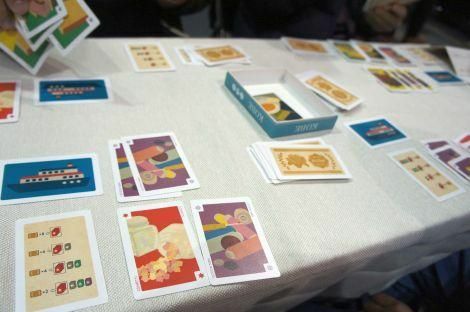 It is a game of conveying the situation stated on the chosen card to other players by placing and arranging facial parts on a blank face, like Fukuwarai (or "Lucky Laugh", a traditional Japanese game played around the Lunar New Year). 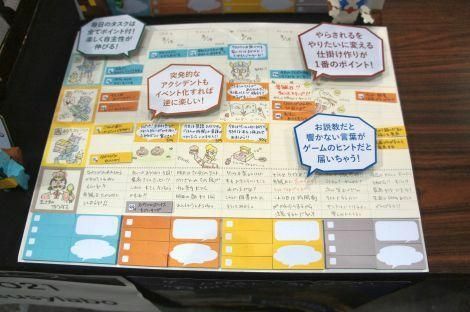 "TAGPLAN" is a tool to facilitate the counting of children's activities, such as homework and household chores, by weekly calendar and sticky notes. 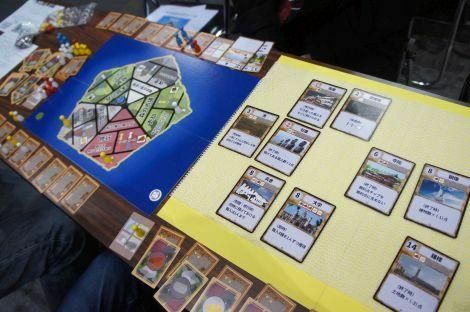 Just before this Game Market, nine board game cafés in the local Kansai region announced the "Board Game Selection". New and recently-released games sent for the selection were played at these cafes, and the most recommendable and best games were announced. The selected games, such as Era of Hunting, which received the Best Game Award, were on display along with the trophy and leaflets at the venue. I hope that this event will be held again next year. Lastly, I would like to mention some notable accessories. 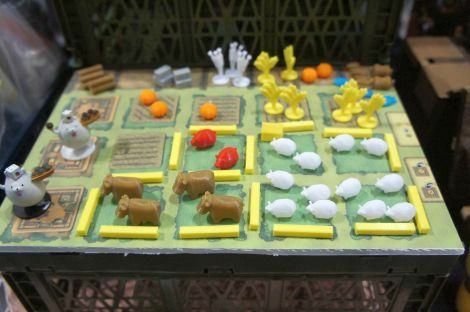 Pieces that may be used for TRPG and board games (from Suekichi Koubou) were being displayed on the Agricola board. These wood-burned tags have messages such as "I'm off to the loo", "You're welcome at this table", and "Help me reduce my unplayed games", and they would be useful for situations frequented at board game gatherings. The next events will be Game Market 2019 Spring (May 25 [Sat] - 26 [Sun]), Game Market 2019 Autumn (November 23 [Sat] - 24 [Sun]), and Osaka Game Market 2020 (March 8 [Sun]).